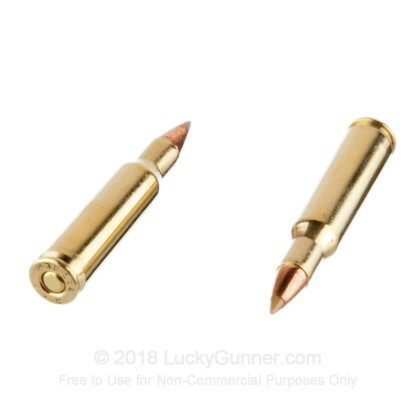 The 222 Rem was developed in 1950 and was used extensively for varmint hunting and range training until well after the release of the now world famous 223 Rem. Traveling at high speeds and exhibiting incredibly accurate, this round is still fantastic for getting rid of pests and plinking around at the range. Remington, the creator of this fantastic round, was founded in 1816, producing some of the best ammo and firearms in America. 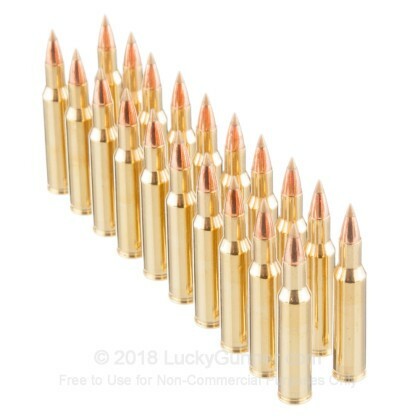 With the reputation that comes with their age and high quality manufacturing, you know you can trust the amazing ammo that comes from this all American company. 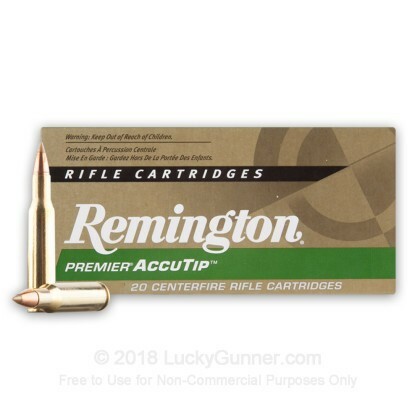 These Remington Premier rounds are a great option for varmint hunting. Each round features an AccuTip-V boat tail projectile that weighs 50 grains and leaves the barrel around 3,140 feet per second. 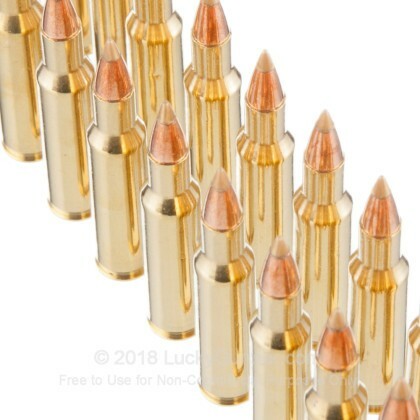 These bullets offer explosive expansion and fragmentation upon impact and are loaded into boxer primed brass cases that can be reloaded.Pick up a couple boxes and you will have terminal performance you need to get rid of the small and medium sized varmints on your property. 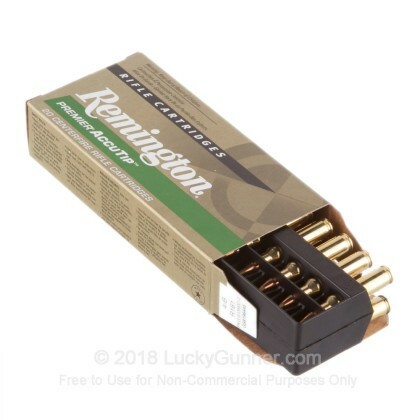 We don't have any reviews yet for this particular .222 Remington ammo from Remington. 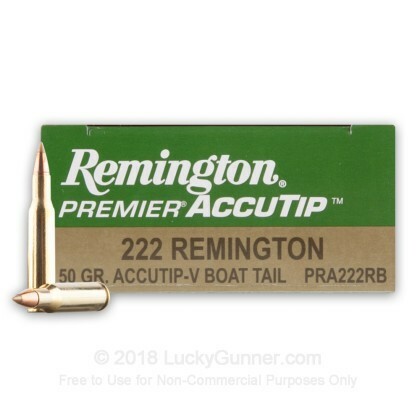 If you'd like to be the first to review this particular .222 Remington ammo from Remington, fill out the form below.